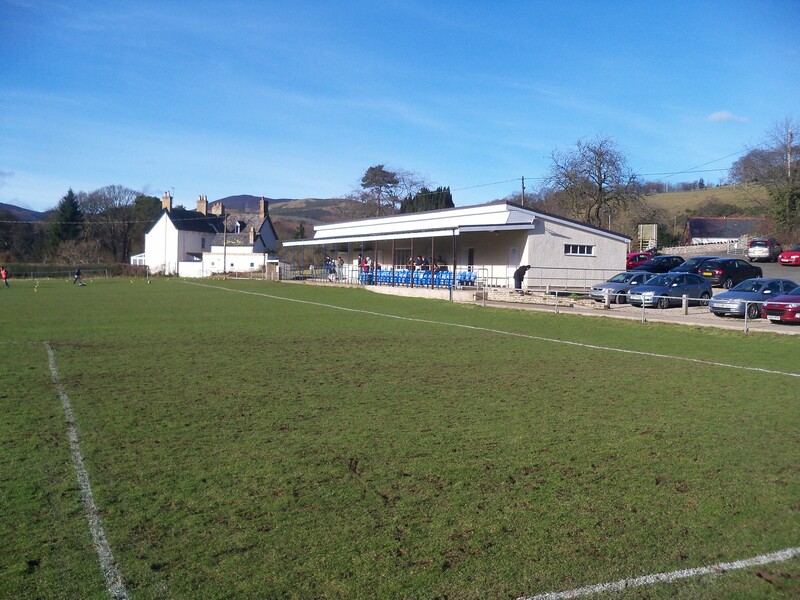 Plans to do Llanrhaeadr in the Cymru Alliance against Flint Town United were dashed by Flint being ordered to play a cup game against Caerau Ely. It was to be combined with Pistyll Rhaeadr – the highest waterfall in Wales – and a pub lunch with my two boys. I wanted to choose somewhere else with points of interest, so it forced me into my first ever Welsh National League game. 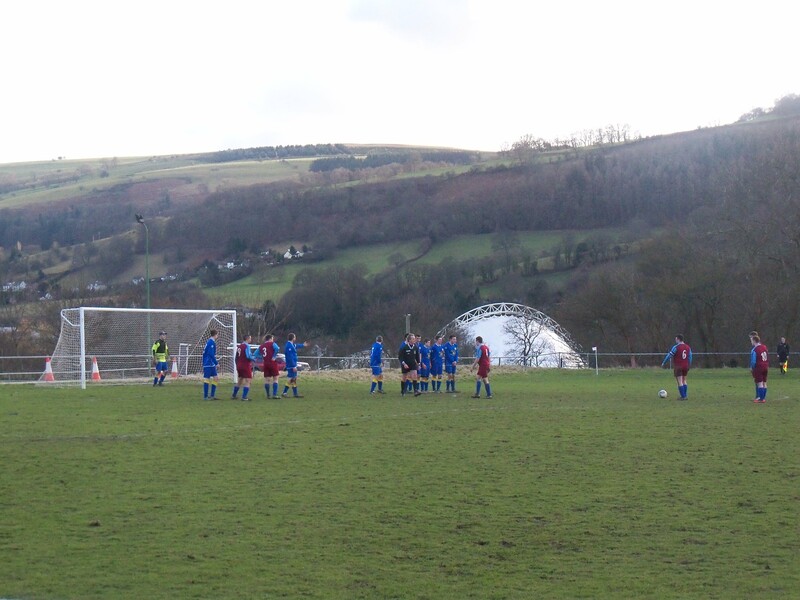 The Welsh National league is one of the three step three northern leagues, along with the Spar Mid Wales league and the Welsh Alliance. The Welsh National is centred around Wrexham and its environs. 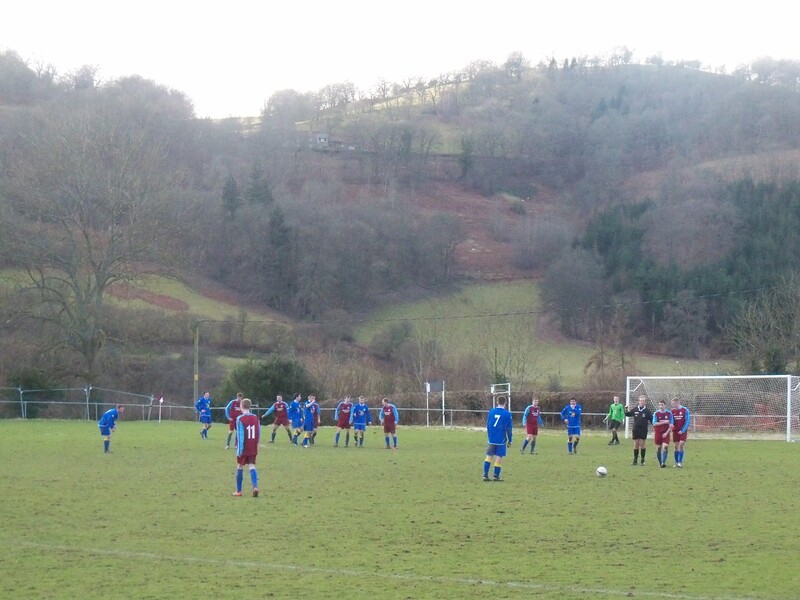 I chose the scenic town of Llangollen, lying third against mid table local rivals Corwen. 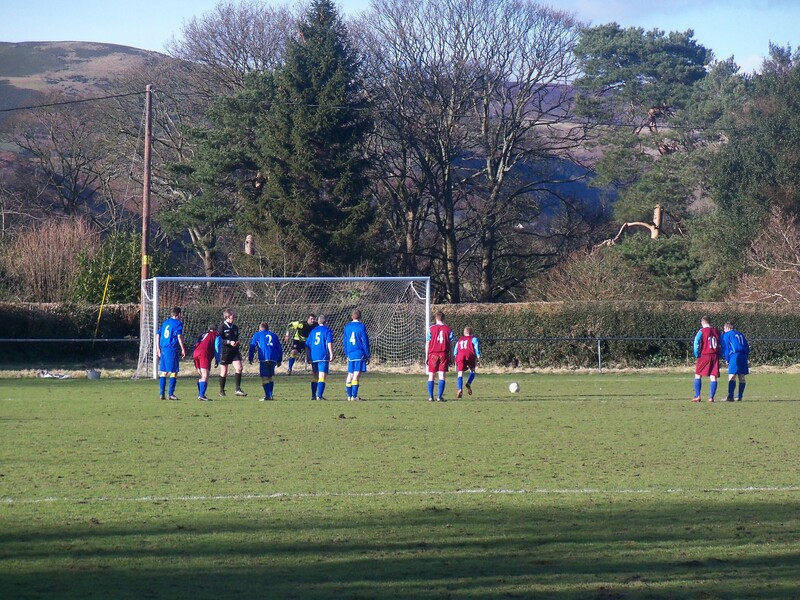 The football club has been going since 1908, but at the time Arosfa and Berwyn Rangers were the pioneering clubs in the Vale of Llangollen. 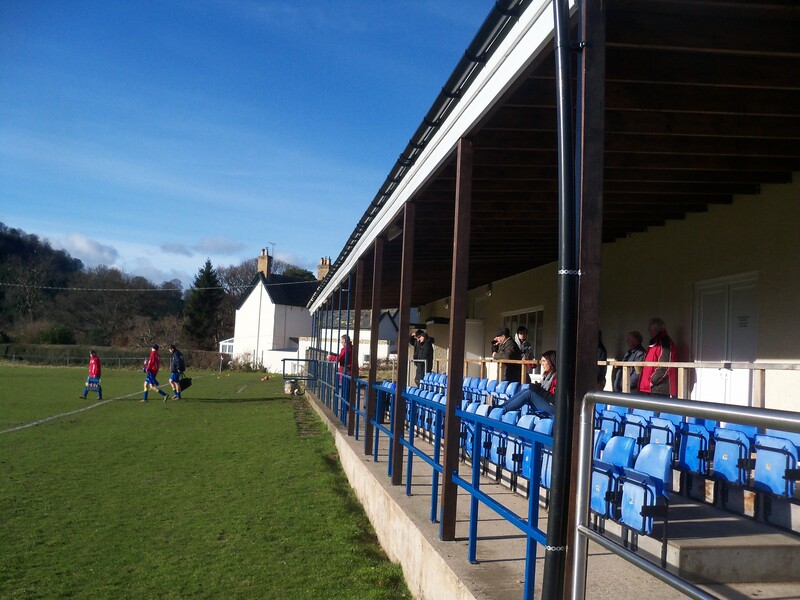 They have enjoyed football in the 2nd tier Cymru Alliance in recent years but were relegated during the big restructure, when the Premier league reduced down to 12 teams. 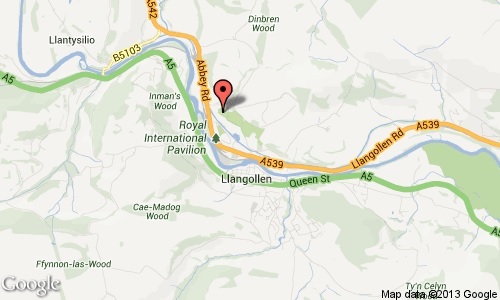 Llangollen, the town, is very picturesque. We had lunch in the Deeside café which overlooks the rushing white water of the river Dee, as it flows under the bridge in the centre of town. 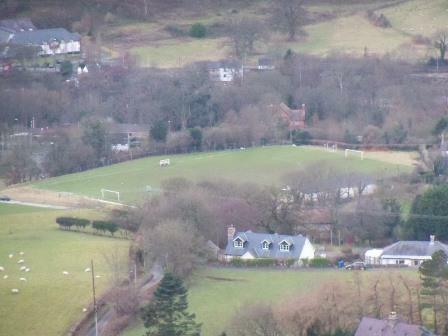 The ground lies just above the town, part of a larger complex of rugby pitches. If you have time to spare I’d recommend the walk up Castell Dinas Bran, a medieval castle that sits atop a hill overlooking Llangollen and the river Dee. The view are spectacular from the top, including of course the Tower Fields ground. The ground has a large clubhouse with two rows of seats sheltered underneath, about 50 in total. It is a smart structure and the only furniture in the ground. 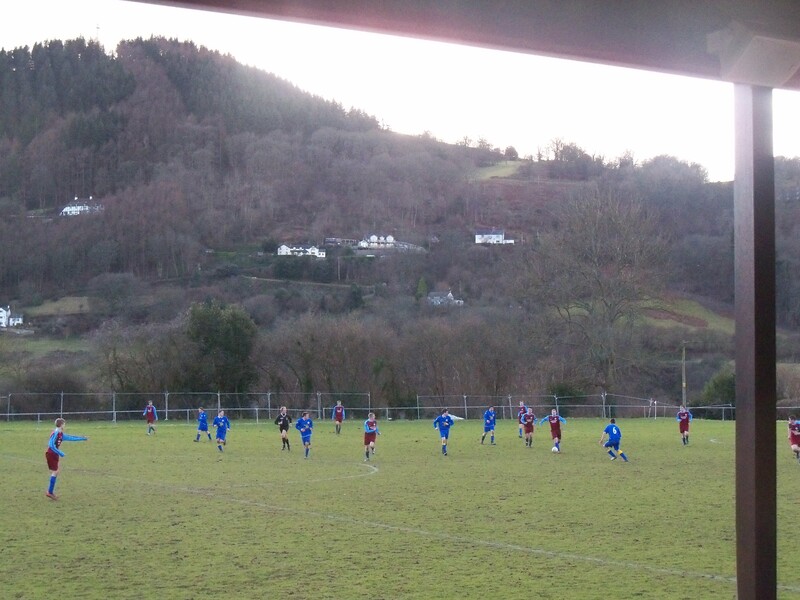 The views from this side of the ground are impressive though with a very hilly backdrop overlooking the river Dee. Unfortunately the game didn’t match the setting or the weather. 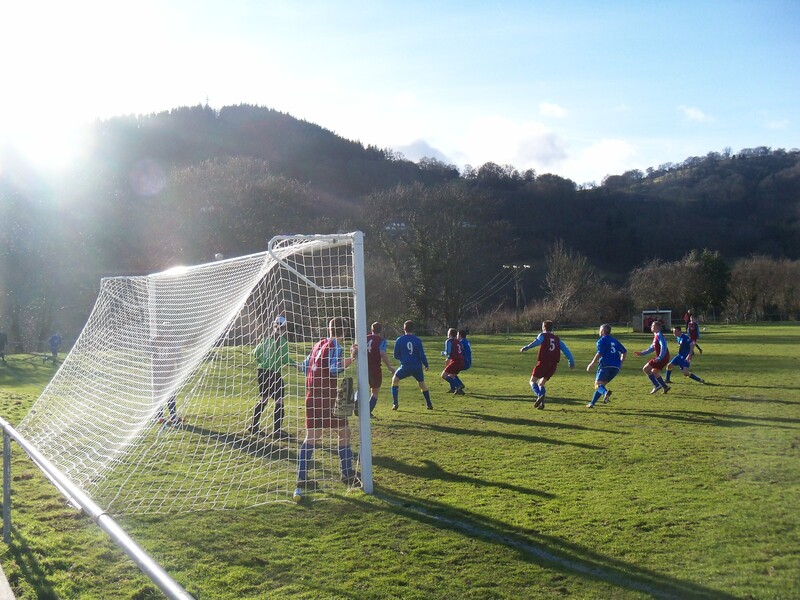 Despite it being a local derby against their rivals Corwen, 10 miles west along the river Dee, it was a dour affair on this bright February day in the sunshine, with the hosts winning by the only goal, scored in the first half. 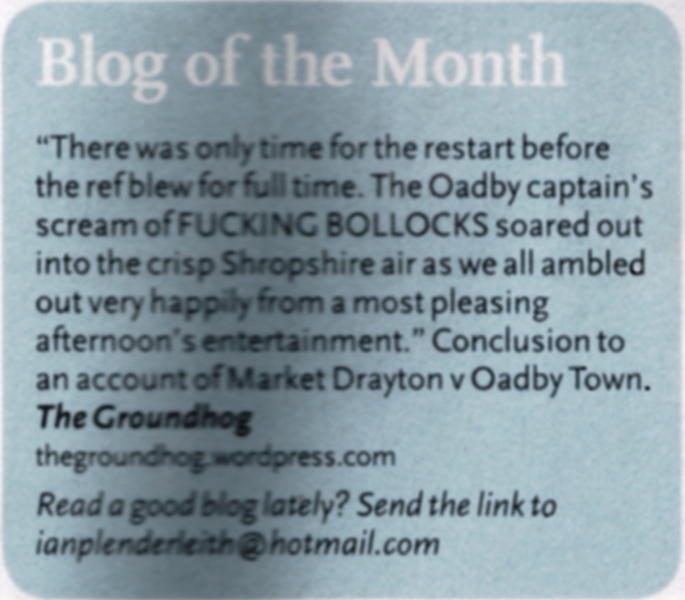 The heavy pitch didn’t help to make it a memorable Groundhog Day for us. Despite this the day generally was excellent with Llangollen a picturesque town worth visiting in its own right, with Castell Dinas Bran adding an extra dimension to the day. 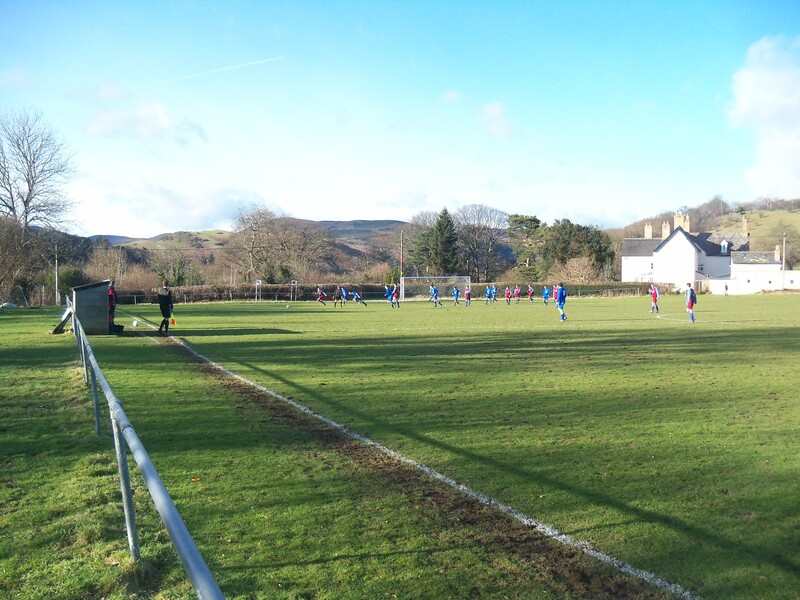 This entry was posted in Groundhopping, Grounds, Travelog, Welsh football and tagged corwen fc, Llangollen Town FC, Welsh National League. Bookmark the permalink.